Cinematographer Jessica Lee Gagné traces the career path that led to the seven-part miniseries Escape at Dannemora. Lead photo and black-and-white photo by Wilson Webb. All other photos by Christopher Saunders. All images courtesy of Showtime. In June 2015, two inmates serving life sentences tunneled out of their cells and escaped from the Clinton Correctional Facility in upstate New York with the help of a prison employee. Based on the real events, the new Showtime miniseries Escape at Dannemora casts Benicio Del Toro and Paul Dano as the pair of convicts, with Patricia Arquette as their civilian abettor. 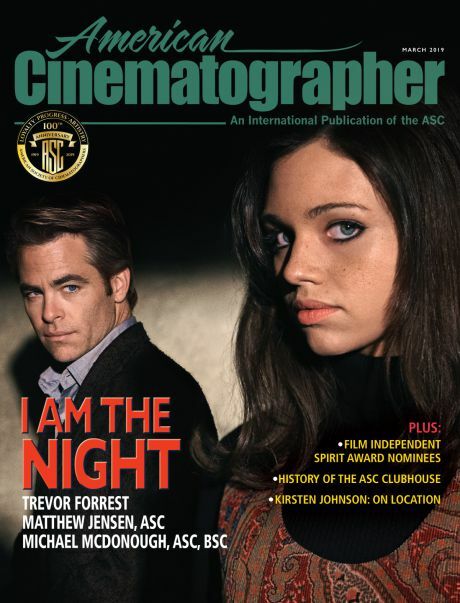 Despite the show’s recent setting, director Ben Stiller and cinematographer Jessica Lee Gagné took their cues from the 1970s aesthetics of ASC members Gordon Willis and Owen Roizman. With the first episode of the based-in-fact tale having debuted on Nov. 18, Gagné talked to AC about how her path to Dannemora was paved by Klute, inherited cameras, and her father’s video store. 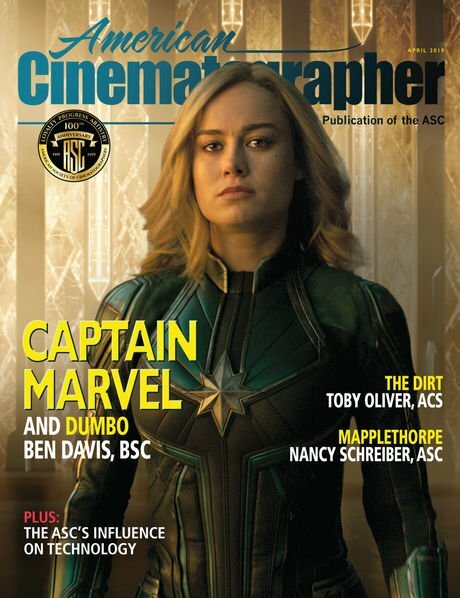 American Cinematographer: Where did you grow up — and were films a big part of your childhood? Jessica Lee Gagné: I was born in Quebec City. My dad owned video stores, so I grew up constantly having movies everywhere around the house. There were always VHS tapes piled in my room. I would sometimes watch a movie in the morning before going to school and then come back and finish it after school. I grew up working in those stores for him. I'd literally spend my entire summer putting VHSes in alphabetical order. What types of movies did your dad bring home from the store? Gagné: I remember things like Little Shop of Horrors, Risky Business and *batteries not included, but he really liked the big, classic American films from the 1980s and 1990s. If there was an American blockbuster out, we would go and see it at the movie theater. My dad was really more into watching movies as a form of entertainment, not necessarily as a form of art. But my mom has always been into languages and different cultures. She's the one who introduced me to European filmmaking. Before I moved to Montreal [for university], she would bring me to this small theater in Quebec City called Le Clap, which had three tiny screening rooms, and we would go see Mexican movies or Spanish movies — we were both trying to learn Spanish. When did you start creating your own images? Gagné: My aunt passed away when I was around 9, and I inherited her camera. My mom also gave me her cameras, and then my grandfather ended up giving me his cameras — everyone just kind of gave me their cameras at that point. So I shot 35mm really early on. I was shooting so much film — literally going to Costco every weekend with my mom to develop film because I just enjoyed it so much. My mom had books about photography, so I started reading those on the way to school and learning about f-stops and shutter speeds and just understanding the technicality of it. Then, in high school, I was basically like the school photographer. You know how they do the ‘Most Likely To’ votes? I got ‘Most Likely to Be a Photographer, Director, Actor and Producer.’ That was the title. [Laughs.] I definitely was always going around with a camera — it just became a thing that I always had — but I never thought of working in the industry until I finished high school. I didn't even know what a cinematographer really was until I got to university. Gagné: I went to Concordia University in Montreal and studied photography and film. In Quebec City we had a different school system than the rest of Canada and the U.S. 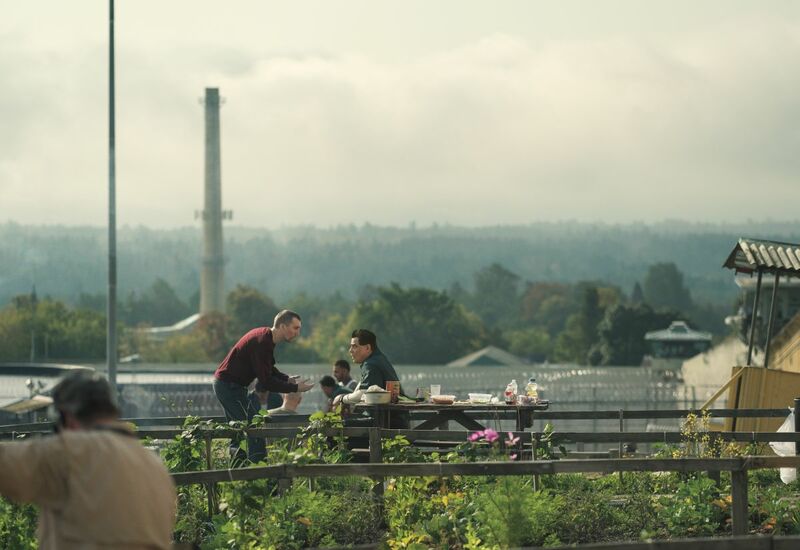 Between high school and university, you went to a small college that was basically a two-year program where you decided what you wanted to do at university. That's where I decided to start studying cinema. I started doing darkroom work and photography there, but I still didn’t feel like I fully understood the role of a cinematographer until I got to university. That's where it really clicked with me. When you began understanding that role, who were some of the cinematographers whose work first spoke to you? Gagné: Yves Cape [AFC, SBC] was one of the first. Also Gordon Willis [ASC]. When I saw Klute, I was mesmerized by the cinematography. In everything I do, I keep coming back to that film. I also think Owen Roizman [ASC] is a genius. But the most important one was a Canadian cinematographer named Sara Mishara, whose work I really admired. I got into Yves Cape’s work because of the compositions, but Sara Mishara’s work appealed to me because of the lighting. She does things in such a subtle, beautiful and simple way, and often with no means. She is brilliant, and her work is so poetic. What did it mean for you to see another female French Canadian cinematographer flourishing? Gagné: Those models are so important. When young women see other women being successful in this field, it makes it feel attainable. What types of jobs did you start out with after school? Gagné: I was surrounded by a lot of very fiction-feature-driven people at my school, so we started working together on features right away. I never really got into shooting advertising or music videos. Right out of school, I shot a film with a friend, Chloé Robichaud, and it ended up going to Cannes, which really was a turning point in my career. What did you learn from the experience of shooting the 2017 gangster biopic Daddy in India? Gagné: That film was a huge challenge for me. I got there 12 days before the start of a 65-day shoot, which was completely insane. It was an action-thriller gangster period-piece that took place from the 1960s to 2012. I had never been to India, and I had to learn what India looked like in all those decades. After every day of prep, we would go ride around Bombay so I could see the city. It was also a huge learning curve culturally. By the end of the shoot it was [monsoon season] and I was wearing rubber boots up to my knees because there was water to my ankles on set. Shooting in India is just the craziest boot camp you can have in life, but I would never take back anything I've ever done in terms of shooting. I think every film has made me who I am as a cinematographer and a person. Even though India was hard on me, it gave me the opportunity to work on a huge set with a big crew. I was able to learn a lot from the people I worked with; I came away from the film with new ideas of how to approach lighting. I think living in India opens your eyes to new ways of seeing things in general. It also made me realize that sometimes the details we worry about as DPs are just not as important as the bigger picture. Hopefully the movie you did after Daddy, the thriller Sweet Virginia, was less chaotic. Gagné: Daddy was a hard movie on me, so I needed Sweet Virginia to remember what a normal shoot was like. It was shot in Vancouver, and I was like, ‘Okay. Canadians. I know this culture and what to expect.’ It was a 21-day shoot in a town called Hope, and I arrived 14 days before the shoot. We lived in this rundown little motel, where we also shot, and it was a really good experience. Sweet Virginia was the first film [on which] I was able to start using the aesthetic that I want to use moving forward. And that was the film that made Escape at Dannemora director Ben Stiller think of you for the series? Gagné: Yes. I had actually moved to Paris after Sweet Virginia. I sold my car; I boxed up my stuff. I was planning on going to Europe for five or six years to work. And the day that I flew out, my agent got an email from Nicky Weinstock, who is Ben's producer at [production company] Red Hour Films, asking if I'd be interested in the project. I had worked on smaller indies and obscure films before that, a lot of French Canadian films that would maybe go to Cannes or Berlin, so I wondered what Ben had seen of my work, since a lot of it is hard to find. He actually saw Sweet Virginia without knowing who I was, and when he watched the movie, he basically decided that he was in love with the cinematography. Two weeks [after the email from Weinstock], Ben and I Skyped. I wrote down the movies that I pictured as references — Klute, All the President’s Men, Dog Day Afternoon. When I read the script, I felt this 1970s New York kind of vibe, and Ben was thinking the exact same thing. Ben was in New York and I was in Paris, but he was going to be in Cannes because The Meyerowitz Stories was premiering there. So we met in Cannes, and I brought two photo books to show him — Hurricane Season by Hannah Modigh and a Todd Hido book. 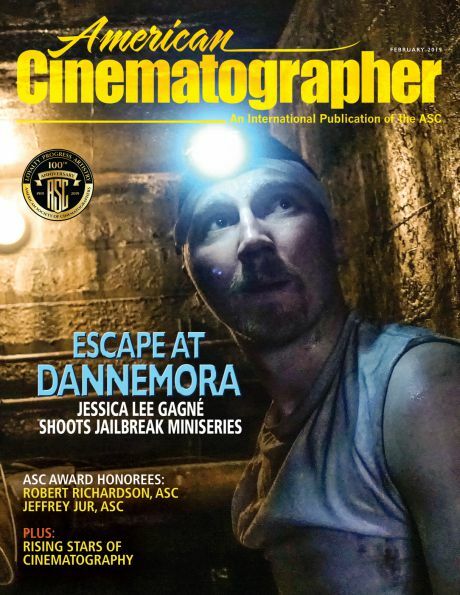 Our full story about Gagné’s work on Escape at Dannemora will appear in the February 2019 issue.